A documentary film to be screened on US TV two days before the anniversary of 11 September will show how the lives of Afghan citizens were changed by October's bombing raids. Afghanistan: Year 1380 documents the efforts by an Italian doctor, Gino Strada, and the Milan-based humanitarian group Emergency to give medical help to Afghans amid a backdrop of US and UK bombs. The film shows the plight of civilians, many of whom had no idea where the US was or what happened on 11 September - as well as screening footage of Taleban prisoners being held by US forces. What about the Afghans? Don't they have the right to be considered human beings? Filmmakers Alberto Vendemmiati, Fabrizio Lazzaretti and Giuseppe Petitto had already made a documentary film about Afghanistan, Jung: In The Land Of The Mujaheddin. That followed Emergency's attempts to build hospitals in the country. Although they had no plans to make another film, they decided to return after the events of 11 September and the subsequent bombing raids. "We just said we have to go," said Vendemmiati, "We couldn't just stay there and watch TV after the three years we spent going and coming from that country." The trio chose to steer clear of politics in the film, concentrating instead on showing the situation through the eyes of the Afghan people. "When we talk about our victims from 11 September, we go straight on to their stories," Vendemmiati points out. "What about the Afghans? Don't they have the right to be considered human beings?" The title stems from the time frame of the events - 2001 is the year 1380 in the Persian calendar, used by most of the Afghan population. 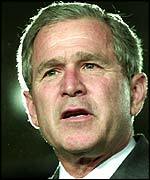 US President George W Bush is also heard as a voiceover in the film, explaining why the US had launched attacks on Afghanistan. His speech is interspersed with a scene of a wounded Afghan citizen in Emergency's makeshift hospital, and footage of injured children. The film made its debut at the Human Rights Watch film festival in New York this summer.